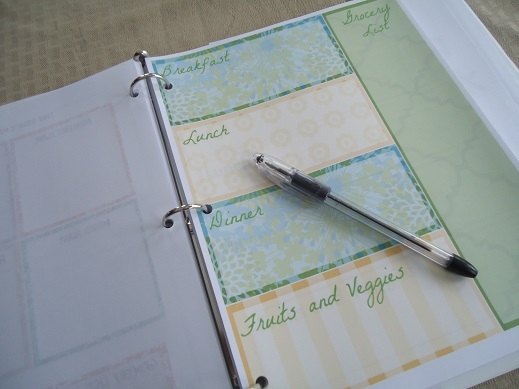 In winter months, meal planning needs to be based around grocery store produce. Does anyone else feel like the shelf life of grocery store produce is not nearly as long as that obtained seasonally at the farmer’s market? Just this past weekend, I opened a tub or organic mixed greens that was supposed to be good until the 8th, and already had to pick out some bad leaves. Two days later when I went to finish them up, they were completely bad. Mind you this was 3 days BEFORE the expiration date. Last night I opened a bag of bean sprouts, to use in bee Bim bop, only to find them expired as well. And how about meat? When fresh (not frozen) chicken is obtained at the grocery store it is supposed to be used or frozen with in 24 hours of purchase. Oh, and apparently it is best not to freeze fresh grocery store meats as, it was often previously frozen meat that has been thawed. With all of this in mind, how is one supposed to shop just once and have the food last the whole week? Also, how long can a leftover chicken carcass be left in the fridge before making stock? Something that I have found that helps with the pathetic winter produce is to wash, trim and then store it. Leafy greens washed and spun dry seem to keep longer than when left in the original packaging. I store them in gallon size zipper bags. Also trim and wash celery before storing it in a container of water in the fridge. You might also try rearranging your fridge so the delicate produce is in the warmer part of the fridge up top. Put the hardy root vegies down in the lower colder part of the fridge. Laura, your menu planning is amazing. You are so organized! Since we are only two, I think I have it easier – Sorry. I don’t need a binder, but I do use a small white board. It’s posted inside my spice cabinet next to the stove. Once a week I fill up the white board with our meal plans. First I look at what we have in perishables and then choose meals to make with those ingredients in mind. I make sure I include a variety of meat, fish, and poultry dishes too. Sometimes I put meals on my list based on special sales I see in the store flyers. For example: ricotta was on sale a few weeks ago, so I made lasagna. 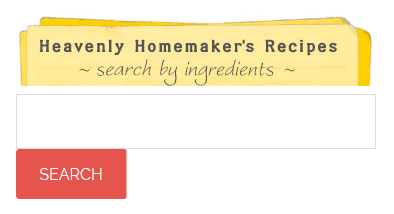 And as a plus, I already had the other ingredients on hand in my basement. My list of meals is in no particular order. Most meals can be used for lunch or dinner. As I make them, I cross them off the list. I do not include breakfast on the list because we eat the same thing all week and have a hot breakfast on weekends. Grocery shopping is mostly about picking up the regular perishables, buying the best looking/priced produce, and restocking our food storage room. I restock my kitchen from the basement food storage room so I never have to worry about being out of frozen, canned, boxed, or dry food. 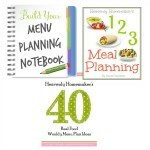 Meal planning is the key to successfully feeding my family homecooked meals on a budget. 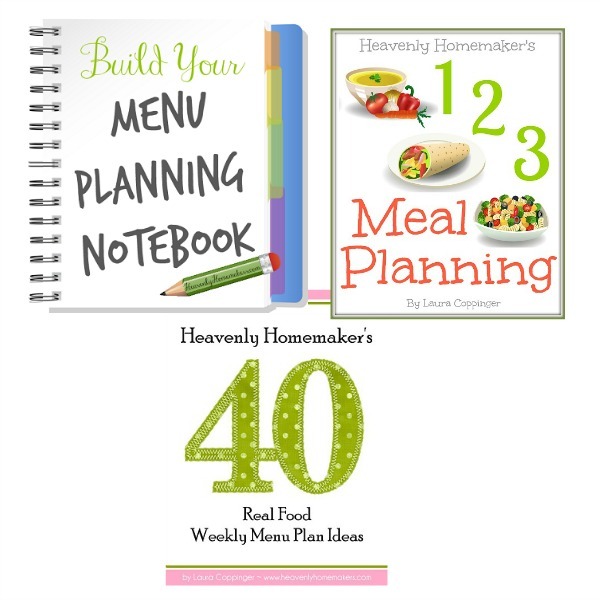 Without a menu plan, chickens remain frozen, beans stay dried, and there is no bread. 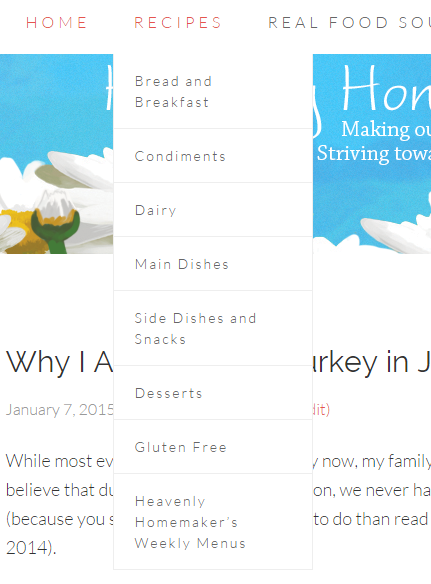 I find my inspiration by reading the recipes and menu plans of others (like you!) Thanks so much for sharing and inspiring over the years, Laura!